A busy kitchen needs to optimize for both efficiency and safety. The last thing your commercial kitchen needs while working through a busy dinner service is extra hassles. Not only do you want the best for your workers, you also simply don't have time for injuries in the workplace. The right lighting ensures your team can see what they're doing, improving both safety standards and performance in your kitchen. 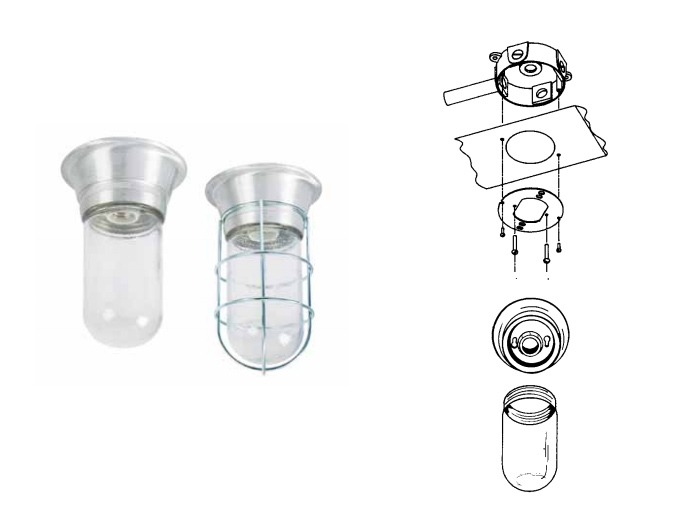 Lamps: Steel with baked white enamel finish sealing gasketing. Mounting: Baked white enamel finish providing a minimum of 87% diffused reflection. 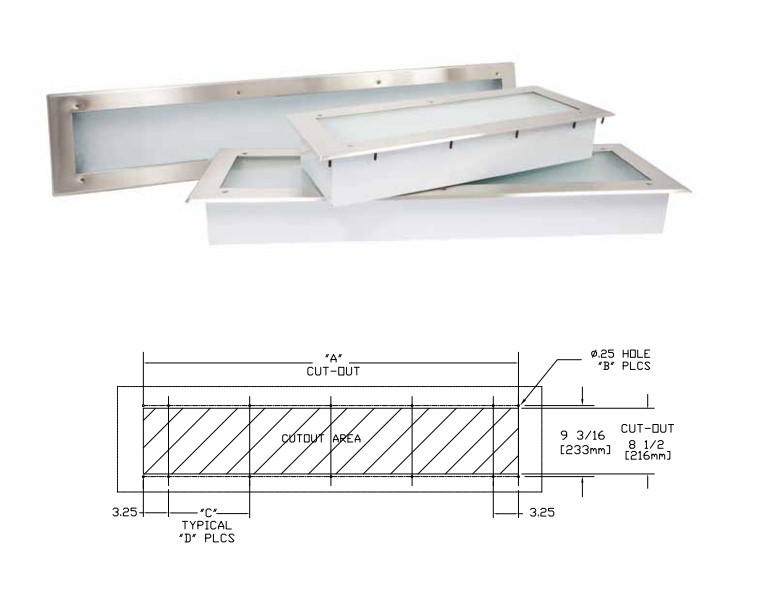 The space under the range hood is notoriously difficult to light from the sides. Since this area covered, it is often missed by the lighting in the rest of the kitchen. This can obscure ingredients, make it more difficult to determine when a dish has reached its perfect degree of doneness, and increase the hazards in the kitchen. It is particularly important to ensure that range is well lit to allow for the highest quality control over your dishes. The right lighting can save you money in the long run. Increased productivity and careful choice of bulbs will keep your monthly bills low without sacrificing quality and safety in your kitchen. Incandescent lighting is a prime choice in many kitchens. These bulbs offer a warmer quality of light that can add a level of comfort for your workers and can improve the feel of a family oriented restaurant. This type of lighting can help build a warmer sense of inclusion and cooperation between members of your staff. Some people experience headaches under florescent lighting, a concern that can be solved by using incandescent bulbs. If your chefs are suffering from headaches or feel strained under more stark light, incandescent bulbs can solve this problem and increase productivity. 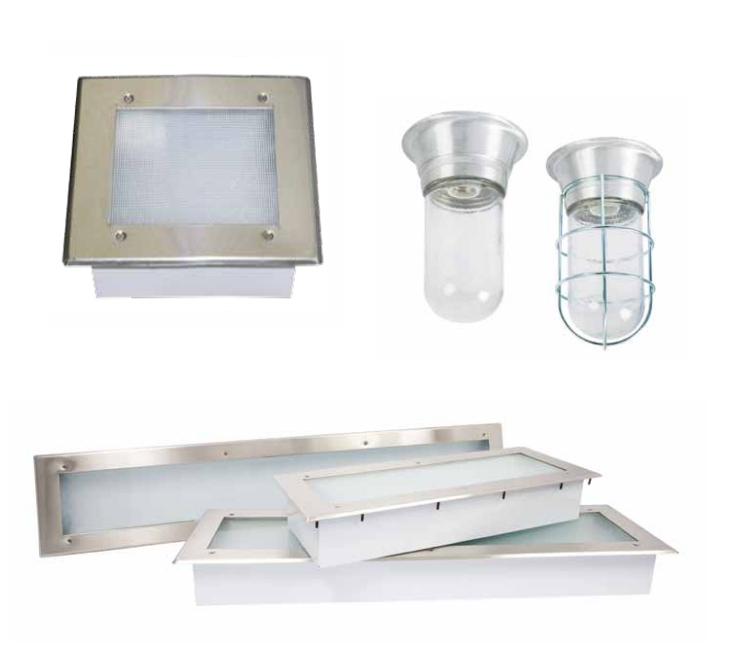 Incandescent fixtures are easy to mount onto existing structures and have a lower start up cost than other options. 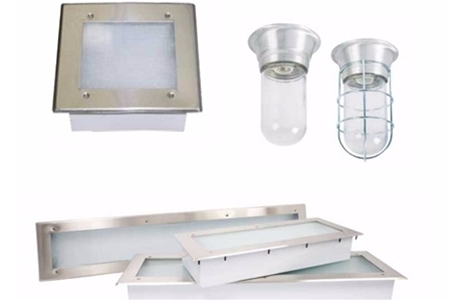 They can be added more simply than recessed lighting and will reduce the amount of time necessary for installation. Adding a wire guard to your bulb can help protect this area and prevent mishaps in the kitchen, while tempered glass will prevent issues with heat from the oven. This will prevent shattered bulbs from both heat stress and anything that might accidentally strike the lighting area. Fluorescent bulbs may cost a little more in initial start up costs, but will save your kitchen money in the long run. Fluorescent light bulbs have a longer lifespan, between 35 and 50 times longer than incandescent bulbs. This will save both time and money, reducing the number of times your bulbs need to be replaced. This also reduces the amount of time your kitchen will be working in reduced lighting conditions, waiting for the bulb to be replaced. Working in reduced lighting conditions, even for a short period of time, significantly increases the chance of dangerous mishaps in your kitchen. Fluorescent lighting can also help keep your kitchen cool. Incandescent light can leach heat into the area around the bulbs, making the kitchen either more uncomfortable or more expensive to cool. Fluorescent lighting does not have this heating issue, which can safe you in both monthly bills and worker comfort. Commercial kitchens have enough issues with hot working conditions without adding heat from your lighting. Recessed lighting opens up the area under the hood and makes your kitchen feel like it has more space. While this may seem like a small issue on the surface, as long as the work space remains the same, a more open kitchen can significantly change the atmosphere. Chefs who feel cramped will be more prone to dissatisfaction, arguments in the workplace, and lower quality work. The right lighting increases the safety of the working conditions of any kitchen. Chefs who can see clearly are less likely to have knife or burn accidents. Proper lighting can not only increase safety, but also efficiency, chefs who can clearly see their ingredients and work surface will have the confidence to work faster and more accurately. Properly installed lighting also reduces the risk of glass bursting or over heating your space. While this may not be a common occurrence, the degree of disruption burst glass can bring to a kitchen makes it an accident well worth preventing.